A picture of NAIA employees allegedly playing computer games on the job has gone viral online. The lazy workers earned netizens’ ire. 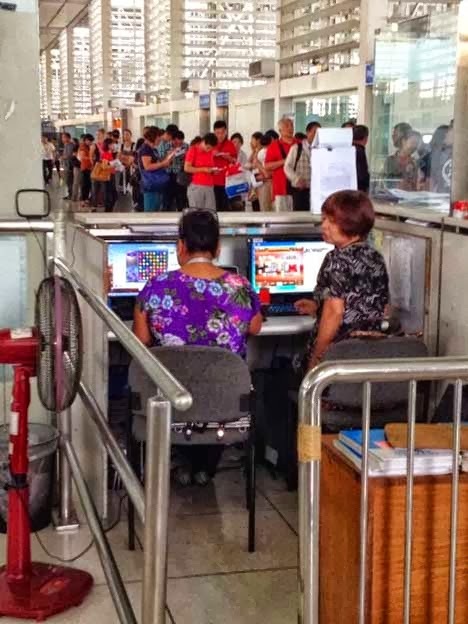 The viral photo first posted by gossip blog Fashion Pulis shows two women talking to each other and apparently playing PC games at work while there’s a very long line of passengers just a few steps away from their cubicle. Critics slammed the unidentified employees saying what they were doing is one of the reasons why NAIA is considered as among the world’s worst airports. So far, no one has verified the authenticity of the photo. NAIA management has yet to speak on the controversy.